Wellness and a healthy lifestyle are undoubtedly one of the dominant trends of the moment in many areas. As awareness and attention to health increases, so does the demand for training products designed for the home. Wellness is becoming a global priority: many studies show that between 2017 and 2024, growth in the home fitness sector will exceed 5%. (Global Market Insights, 2017). Technogym is known worldwide as the Wellness Company, the company that has transformed the hedonistic approach to fitness into the broader concept of wellness, a true lifestyle of regular exercise, a balanced diet and a positive mental approach. While fitness focuses only on workouts, wellness is a more holistic experience, which includes training but also design, atmosphere and connectivity. Technogym, with over 30 years of experience in creating wellness solutions, offers innovative and design products and accessories that represent key and distinguishing elements in living spaces dedicated to fitness, improving both physical and mental well-being. Over the years, Technogym has transformed home fitness solutions into desirable design products that complete the furnishing of environments. Innovative Italian design, cutting-edge technology, unique quality and ease of use have made Technogym products the mainstay of some of the most exclusive private homes in the world and the choice of the best athletes and facilities around the world. From the collaboration with the acclaimed architect Antonio Citterio, to the presence of flagship stores in the world's shopping capitals such as Milan, New York, and Harrods in London, to the participation in the Salone del Mobile and the collaboration with Carine Roitfeld in the design of the 2018 CR Fashion Book calendar, Technogym's design credentials in the world of home wellness are unparalleled. In every home, Technogym is able to offer multiple solutions tailored to the available space, furnishing style and training needs of each user. For those who want to create an environment dedicated to the gym at home, Technogym offers the professional lines ARTIS and SKILL that represent the reference point for training in the best sports centres in the world. For those who want to create an elegant wellness space integrated in the living area of the house, there is Personal Line, the collection of design icons by Technogym designed to integrate perfectly with any type of furniture. 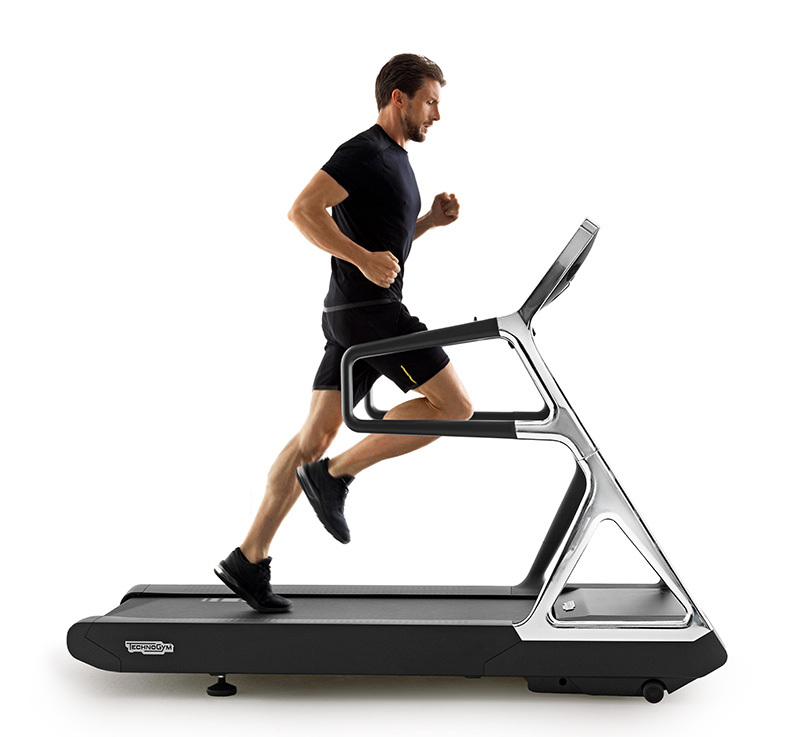 For smaller interiors, MYRUN, the smart treadmill, is the ideal solution. In terms of style and design, the Personal line is Technogym's iconic collection of products that combines state-of-the-art professional training technology, innovative digital solutions and an elegant, modern design. Designed by world-renowned architect and designer Antonio Citterio and thanks to Technogym's thirty years of experience in the world of fitness and wellness, the award-winning line of design furniture products dedicated to training is created with refined materials and the best Italian craftsmanship technique, designed to allow the user to live in harmony and to lead a Wellness lifestyle. Personal line includes a complete line of cardio products, treadmill, bike and elliptical - Kinesis, Technogym's exclusive solution that allows you to train strength, balance and flexibility at the same time and Power Personal, the ideal solution to train strength and performance perfectly integrated with the Personal Line style. The products in the Personal Line are also connected to Technogym's MyWellness Cloud; by connecting to UNITY - the multimedia touchscreen interface found on all Technogym cardio products - users can access a personalised experience with their own training programs, data and entertainment options and favourite apps such as Netflix, Youtube and TV channels. The platform is open, allowing users to integrate training data from wearable devices or training apps such as Apple Watch, Runkeeper, Strava and many more. Technogym's Wellness design also offers personalised interior design services and training programs. Technogym interior designers and personal trainers are available both for remote assistance and in Technogym stores to offer advice on how to create the perfect wellness space at home, as well as to define customised training programs based on goals and aspirations.